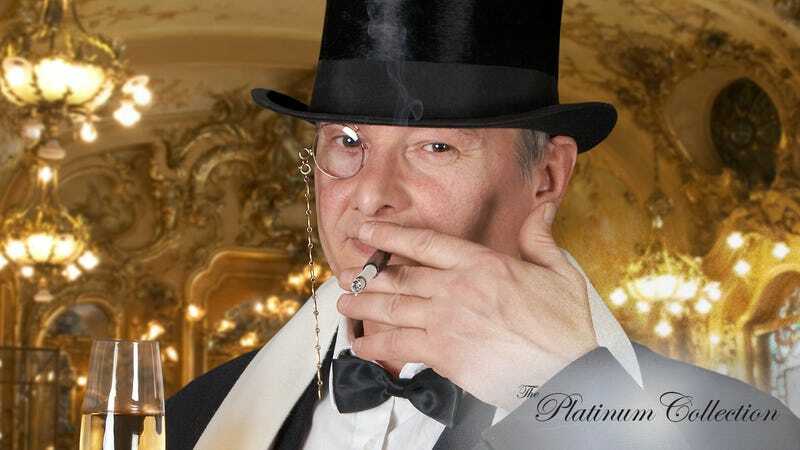 The monocle is a cherished symbol of fabulous wealth to let others know you’re better than them, and every member of the uber-elite knows how devastating it is to break one. But one new product is aiming to make sure that heartbreaking scenario never happens again: It’s called “monocle glue,” and it’s the only thing keeping your monocle firmly attached to your face when your daughter tells you she’s marrying a commoner. So. Much. Yes. This has definitely been a long time coming. Trips to the optometrist after your daughter tells you she’s marrying a simple man who tends to the earth with his bare hands will soon be a thing of the past, thanks to this new state-of-the-art glue that will keep your monocle firmly attached to your eye socket no matter what sort of commoner you find out your daughter has been cavorting around with. The glue, which promises to keep your monocle from flying off of your face and shattering on the deck of your yacht even after your daughter tells you she has promised her hand to the street urchin who stole her heart, offers all-day protection for anyone whose beautiful but wayward daughter could surprise them at a moment’s notice with a fiancé whose childhood home didn’t include an atrium of exotic pets and who has never vacationed in the south of France. A wealthy man can spend thousands of dollars a year mending or replacing the monocles that have flown off of his face when his daughter turned to him at the opera and announced that her newly betrothed was a stagehand with no inheritance whose only experiences with horses have been borne of necessity, not leisure. It can take precious time out of your day to ring for a housemaid to clean up the broken pieces of glass from your mahogany-walled study when your monocle flies from your face and shatters all over your manuscripts when you receive word that your daughter has eloped with a kind-eyed shopkeeper without an ounce of noble blood or a single duke in his lineage. The last thing a rich father needs after finding out his hopes for his daughter’s marriage to the stuffy but well-to-do colonel are dashed is to be stranded with a hefty monocle bill on top of it all. Wow. It looks like this monocle glue is definitely going to solve some major problems for a lot of people. Wealthy fathers of bright and passionate daughters, take note! Do You Smell Luxurious Enough To Attend Warren Buffett’s Extravagant Adult Baptism?